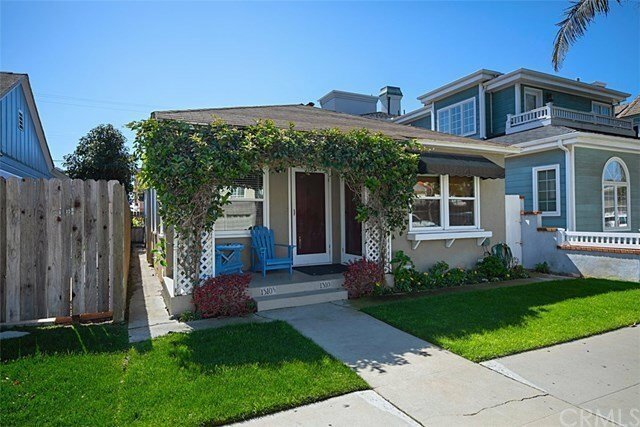 Take advantage of this great opportunity to own a duplex located on Ocean Ave just ONE HOUSE AWAY FROM THE SAND in the quaint beach town of Seal Beach! These units are located just 4 blocks to Main Street and the PIER! This cozy beach cottage contains two units, each is roughly 650 sq ft and features one bedroom, one bathroom with an open concept kitchen/dining/living room. Units have hardwood floors on one and vinyl planks on the other, both have dual pane windows, and come fully furnished. A wonderful patio area sits between the home and the two car garage. Also, there is an extra parking space next to the garage. It is twenty minutes to Newport Beach and Balboa Island night life, 30 minutes to Disneyland and Knott's Berry Farm, and a 2 hour ferry to Santa Catalina Island!